Some of the most effective treatments for acne are not necessarily drugs, according to a new study by CureTogether, a free resource owned by 23andMe that allows people to share information about their health and treatments. People in the study said they found that lifestyle changes like a paleo diet, reducing sugar, and getting plenty of sunshine were among the most effective in treating acne. In addition, those who participated in the study said that more conventional medical treatments such as Accutane, which ranked at the top of the list, helped a great deal. Conversely some common treatments such as Clearasil, hydrogen peroxide, and soap, were among the least effective, according to the study. Acne affects millions of Americans and can be embarrassing to experience. Finding accurate recommendations on treatments that work well can be challenging, so CureTogether asked people suffering from acne to rate the effectiveness of different treatments. The study compiled responses from 4,375 people with acne, who rated the effectiveness of 72 different treatments. Where did this data come from? This is the result of a four-year CureTogether study on Acne, in which people living with the condition shared information about their symptoms and what treatments worked best for them. We’d like to thank those who participated. And just as they shared their experience with treatments, we’re freely and openly sharing the results of the acne study. This is part of a regular series of CureTogether research findings. CureTogether’s research findings are different than those made by 23andMe, which look at genetic associations with illness, traits and drug response. But as we continue our work with the CureTogether community, 23andMe hopes to incorporate more of this kind of self-reported information into our own research. CureTogether present its findings just as they are — patient-reported data — to stimulate discussion and generate new insights for further research. Please tweet, blog, or pass this along to anyone who can benefit or is interested in acne. Thank you! 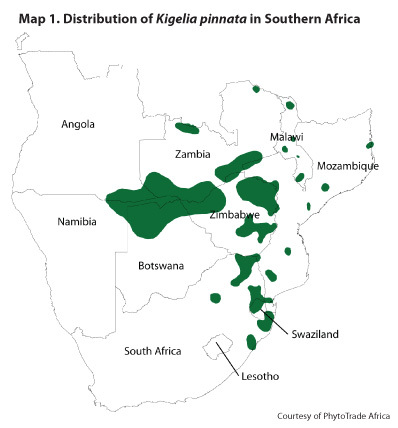 Kigelia Africana or Kigelia pinnata is one of a kind and the only Kigelia plant. 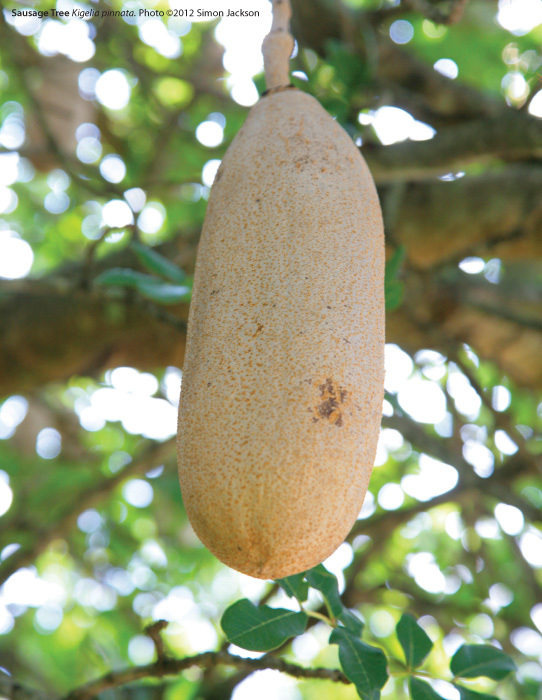 It gets its name from the Mozambican name for the tree, Kigeli-keia, and the English name is because of the shape and size of its fruit. These are not your breakfast type of sausage, but more of a German wurst, or Italian Mortadella or salami. In fact the German name Leberwurst (liver sausage) for this tree reflects this. It is a member of the Bignoniaceae family of trumpet-creeper plants as is the jacaranda, another species which is unique. It is native to Sub-Saharan Africa and particularly likes woodland areas along streams and river banks and savannah. 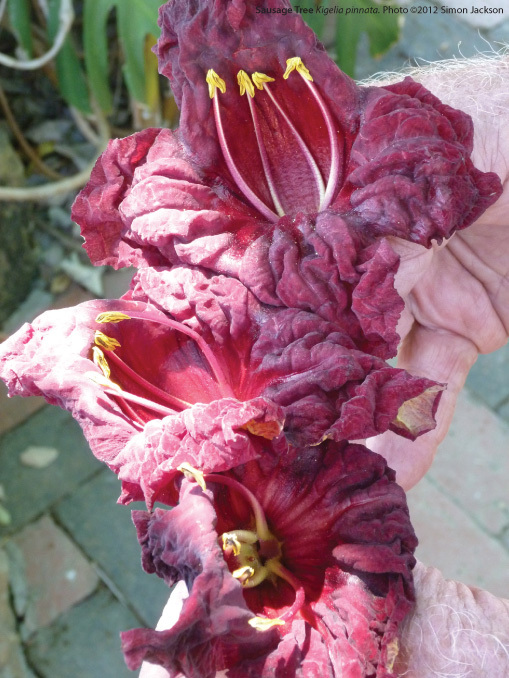 Its flowers have an unpleasant smell which may be why it attracts fruit bats, as they are normally drawn towards white flowers, but the Sausage tree flowers are maroon or dark red. Hawk moths along with the bats help to pollinate the flowers which also attract birds as they are full of nectar. Hungry antelope and deer species eat the fallen flowers, and it is said that baboons and porcupines among other animals feast on the fruit which is toxic for humans. Despite this it is used in traditional medicine, especially the dried seeds and leaves and the pulp when removed from the seeds is said to help give women firm breasts. The powdered leaves are used for their wound healing and cleansing properties and it is used for STDs, malaria and a whole range of diseases including gynaecological ones. In fact it may be the African equivalent of the Neem tree that grows in the Indian subcontinent. The fruit hangs down, suspended on twig-like ‘strings’ and it looks rather as though someone has played an elaborate April Fool’s joke, tying German sausages to the branches. However it is a real tree and does have these amazing fruit. They can probably give you concussion if you unwittingly take shelter from the sun under its shade. On average they weigh around 3 kilos but a large one could weigh as much as 9 kilos. They can be 30-60 centimetres long and have a diameter of around10 centimetres. If you try to eat one you will get blisters on your skin and in your mouth and will be violently ill. The roasted fruit is used to flavour beer and to assist in the fermentation process, and in times of scarcity, apparently the seeds are roasted and eaten. They have many traditional uses as the fruit has anti-microbial properties so the powdered fruit is used for skin problems such as acne, and for dressing wounds, and in water it is used as disinfectant. On a dressing the powder is applied to eczema and slices of the fruit are used to make breasts firm. Beauty products are now available which utilize extracts from Kigelia Africana, and these have been advertised as halting the aging process of the skin, although this has not been confirmed in clinical trials by those who do not have a vested interest in the beauty industry. What seems to have been proved is that the extracts have anti-inflammatory properties and so are useful in after-sun lotions, and for soothing irritated skin. It is also believed, according to researchers at the University of Karachi’s Research Institute of Chemistry, that the extracts from the seeds have potent antioxidant effects. 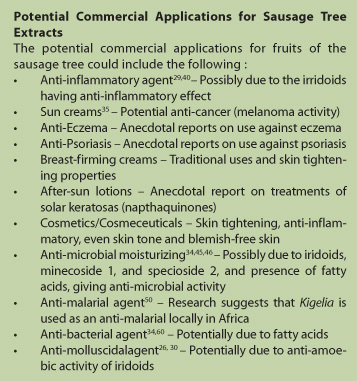 Currently research in on-going into the properties of the Sausage Tree, and researchers who have undertaken a review of the research so far (conducted in 2009) concluded “there is an enormous scope for the future research of Kigelia Africana considering the many medicinal properties it carries” and the fact that it is used for so many purposes traditionally. 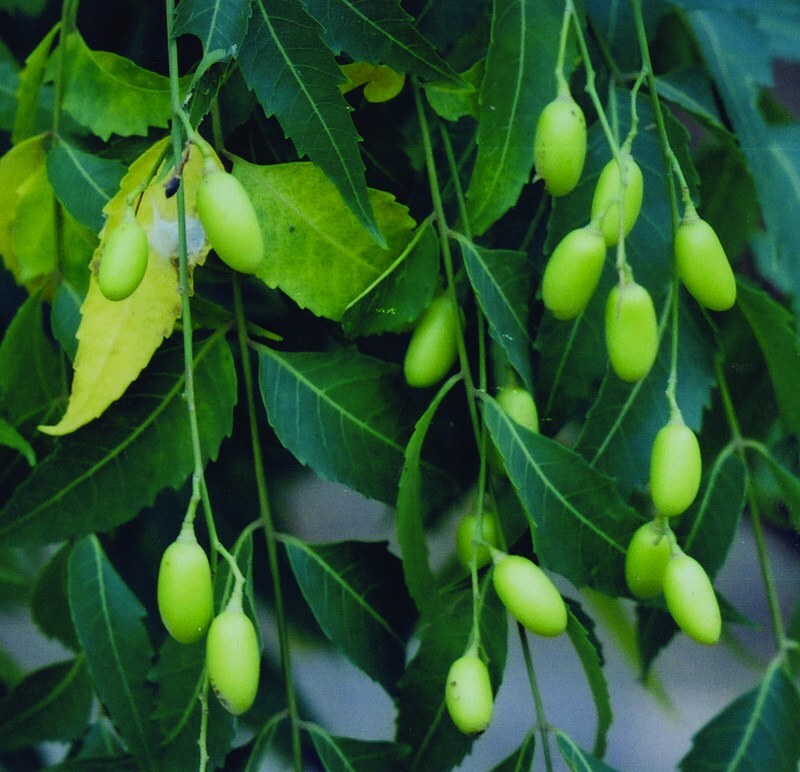 The researchers end with this call to action “more research work should focus on anti-cancer properties” as it seems that the extracts from this tree may inhibit melanoma. Olatunji and Olubunmi who carries out the review were also concerned about sustainability and doubtless had in mind what tends to happen to plant species when Westerners decide they are useful either as cosmetics, food supplements or in pharmaceuticals. The Himalayan Yew is one species which is under threat because it is valuable to the pharmaceutical industry and Devil’s Claw is similarly endangered. It is said that the roots yield a yellow dye, while the boiled fruits give a red one. It is used in Botswana and Zimbabwe to make dugout canoes, and the strong wood is used for shelving and to make fruit boxes. One of the folk remedies is to wrap a leaf from the Sausage tree around a wart, then bury it so that as the leaf decays so will the wart disappear. This is similar to the belief that you can cut a potato and rub it on a wart then bury the potato. Legend has it that Dr Livingstone saw a Kigelia africana and camped beneath it just before he got to Victoria Falls and carved his name on the trunk. It must not have been the fruit season (December to June) I guess. 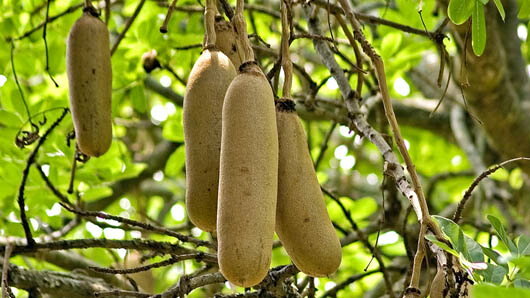 The tree is sacred to some tribes’ people in Kenya and if a person is missing, presumed dead, they will bury one of the fruit of the sausage tree in place of the body of the lost person. To see more photos of this tree go to hear.org and see Kim and Forrest Star’s site.